Advances in the manufacturing of durable goods means processes are becoming increasingly automated. These technological advancements require evolved labeling solutions that can streamline the process. We encourage design teams, engineers and OEM’s to include us in your projects early on, to ensure low development costs and long term labeling solutions. When our custom built labeling systems is paired with our Survivor Series label media, it provides on-demand labeling solutions that give you control of your quality process – every step of the way. 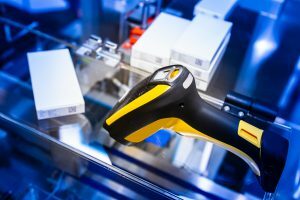 Track and trace, WIP and lean manufacturing practices make on-demand label printing a necessary advantage for many companies. The P5 Printer Laminator proves a vital solution for manufacturing professionals. Simply place a roll of labels and a roll of laminate onto the P5 and watch it print and laminate your durable label before cutting the label precisely to length. Repeat & accurate tamp on labeling – making this a must-have machine for mail order companies and fulfillment centers. The E-Shot printer applicator prints and tamp applies products or cartons at a rate of up to 30 per minute! While this high quality labeling machine meets the demands of most customers, systems can be built to include custom printer applications. To learn more about our industrial labeling systems and durable media, please contact our professional staff by emailing sales@imageteklabels.com or calling (866) 403-5223.